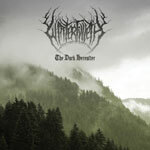 The Manchester black metallers in Winterfylleth have always had an excellent touch for releasing albums that tells proper stories. Not in a strict coherent lyrical way, but through balancing the aggressive with the solemn melancholic to create an emotional story. Just as the lyrics focus on the historical heritage of the bands origins, does the music truly display the hardships of the desolate wanderer in medieval Britain. Combined with excellently composed black metal in the vein of Drudkh does Winterfylleth deserve more recognition than they currently get. The steady release of a new full-length every second year has not hampered the quality of the bands outputs, up until now. The bands fifth full-length 'The Dark Hereafter' is at first glance a worthy continuation of the band's sound and each individual song does not lack in quality compared to its predecessors. The problem lies in the lack of the songs coming together perfectly as an album as seen with the bands previous offerings. 'Pariah's Path' was first recorded as a bonus track for 'The Divination of Antiquity' and does in all fairness deserve more time in the spotlight. Removing this song though leaves material that would have made a fairly coherent EP. Now the impression is more that the intended EP was converted to a full-length simply by re-recording a bonus track without thinking about the bigger picture. The first three of the five songs are up-tempo aggressive pieces in the vein of the band's debut whereas the closing two tracks takes a more solemn shape with a drop in tempo in 'Green Cathedral' and clean vocals only in 'Led Astray in the Dark Forest'. Even if the order of the songs were to be changed I fear 'The Dark Hereafter' would still feel as a collection of songs rather than an album. This issue aside though, 'The Dark Hereafter' offers a nice set of Winterfylleth tunes that will likely come to place in a live set or a mixed playlist. Even though I will turn to any of the band's previous efforts for the full Winterfylleth experience, I still have to recommend 'The Dark Hereafter' to any fan of the band. To do the contrary simply because the band fails to completely live up to its own monumental standards, would be utter insane.